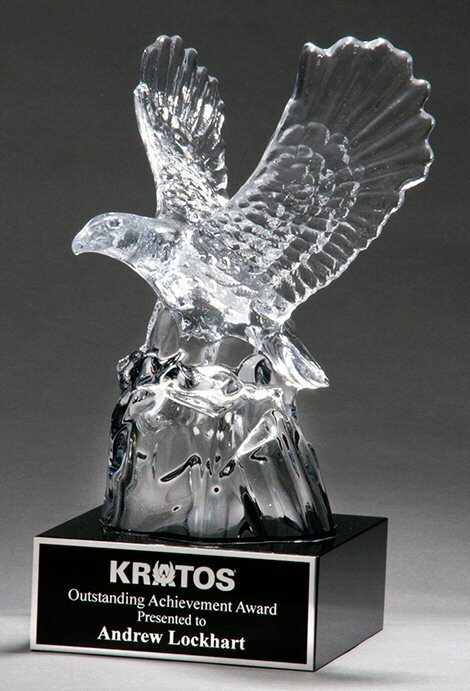 Beautiful carved crystal eagle on black crystal base, free laser engraving on a black and silver plate. Before shipping, a proof will be emailed for your approval. Each award is individually padded gift boxed.